5つ星のうち4.0A must have for the "DIYer." This book was more thorough than what I had anticipated. 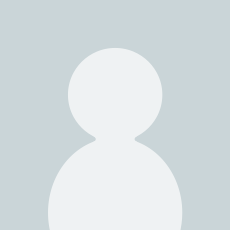 I have to say, the price seems pretty steep, but the amount of knowlege it puts in your hands is priceless if you are looking to build a gas forge, gas burners, kilns, or crucibles. It might just be me, but a few details were a little difficult to follow and I had to reread it a few times to understand what the author was talking about. This is a great "how-to" book, and I think anybody interested in making these things should pick this up. Gas is a dangerous thing to fart around with if you dont know exactly what you're doing. If you read this, it might save you and your loved ones some grief. I made a burner somewhat following these instructions. I was also partially copying a burner that I had purchased. However, I was unable to duplicate the orifice that came on my purchased one. I tried to drill the small hole needed and gave up after breaking about four drill bits. At that point I pulled out this book and decided to use the MIG tip as he recommends. It worked just fine! I like how he gives multiple ways of doing the same thing. That allows you to choose the method you like best. The book has very good illustrations. 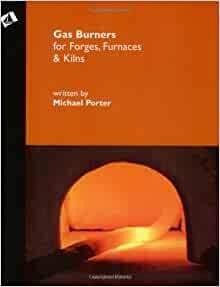 This is probably the best book I have read regarding burner design. However, the information could be edited so that the reader is not flipping between chapters which refer to each other. There is so much more information in this book other than burners: Propane valves, bottles, BTUs, glass kilns, foundry furnaces, etc. But it is not an easy read. The designs of the burners in this book are more complicated than most of the atmospheric burners on the internet. But they are still well within the realm of home fabrication. I would give the author, who undoubtably knows his subject, the benefit of the doubt and not judge him by the presentation of his material, but by the contents of the book. If your into heat: foundry, glass, blacksmithing, etc. you need this book as you will get something out of it. Basic but very informative tome. Sometimes a little confusing, this is actually a step-by-step do-it yourself instruction book for several forges and burners. They are too large for my use, but the information and organization has helped me create a smaller custom forge that serves my needs very well. I used the smallest burner in the book. I seldom run it higher than about 50%. The forge contains about 135 cu. in. and I can melt just about anything in there.